A millennium ago, Avicenna, the father of modern medicine, wrote that difficulties in infancy influence psychology and temperament, and hence adult moral and ethical development (Al-Naqib, 1993). Since then, we have learned vast information about early childhood development from diverse scientific fields including medicine, psychology, neuroscience and economics. We now know that optimal support in early childhood is essential to build human health and capacity across the lifespan, and to build the wealth of nations (Silver and Singer, 2014). Despite the evidence, 43% of children under age 5 in low- and middle-income countries (LMICs) are estimated to be at risk of not reaching their developmental potential (Black et al., 2017). Recently, high-profile calls have stressed the need for worldwide dissemination of early childhood development interventions, preventing nutritional deficiencies and providing nurturing, responsive, stimulating care to children (Richter et al., 2017; Britto et al., 2017). Such universal preventive strategies are crucial. It is also important not to overlook the disparity in how children in high-income countries (HICs) and LMICs receive developmental care. To date, interventions in LMICs have used blanket, non-individualised, generic approaches that are far from the comprehensive, individualised interventions for children in HICs (Dworkin, 1989; Ertem, 2012; Britto et al., 2017). How can the development of all children best be supported, and how can their specific needs be identified and addressed in early childhood? The Guide for Monitoring Child Development is a promising approach to answering these questions. Terminology is significant here, in a way that is not widely appreciated. In child development interventions, ‘monitoring’ is often used interchangeably with developmental ‘screening’ and ‘surveillance’ – but the different connotations of the words imply different underlying philosophies. A ‘screen’ is used to keep out something undesirable, and ‘screening’ is a term borrowed from medicine: it implies looking for the presence of a disease or other unwanted condition. Surveillance, meanwhile, is a term more associated with security and policing – it, too, implies looking for something that has gone wrong, or is about to go wrong. However, when we attempt to support children in reaching their developmental potential, our philosophy is not limited to looking for children that are failing a screening test at a given time point. Child development is a dynamic process and there is no set time when interventions may be needed. Most interventions should be instituted before a child is failing a screening test. Therefore, when attempting to optimise the development of children, our primary goal is to partner with caregivers so that we can help them maximise the development of their children. We choose to use the term ‘monitoring’ child development because it means ‘to watch, keep track of, or check, usually for a special purpose’ and implies an accepting, humble, positive and hopeful stance. The premise of monitoring is to keep track of and support children’s development above and beyond a predetermined goal to find an aberration (Ertem, 2012). Monitoring enables knowing the child’s and family’s strengths and vulnerabilities over time; watching, enjoying and supporting the child’s development with the family, while also partnering to enhance strengths, address risk factors, and provide additional support and specialised services when needed. 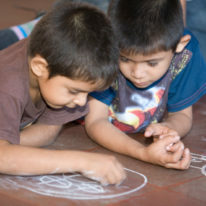 Research from HICs has shown that developmental monitoring benefits all children – those at risk of developmental difficulties can be identified at an early stage and interventions made, while those who are developing on track benefit as the monitoring reassures their caregivers and provides them with advice where needed on helping their children to fulfil their potential (Dworkin, 1989; Blair and Hall, 2006; Committee on Practice and Ambulatory Medicine and Bright Futures Periodicity Schedule Workgroup, 2016). Emphasis on screening children for developmental delays can be especially inappropriate where there are not adequate resources to address those delays. The support available to children and caregivers, particularly in LMICs, may be uneven and shaped by local circumstances, so it is important for developmental monitoring approaches to give flexibility to tailor interventions. Furthermore, caregivers in LMICs may be less well informed about children’s development and may be more concerned about stigma than those in HICs. Tools that ask caregivers about their concerns or that pose questions resulting in ‘yes’ or ‘no’ answers may not yield accurate profiles of how children are functioning. Low literacy levels among caregivers can limit the usefulness of written questionnaires. For many service providers in LMICs, addressing early childhood development is a new concept that requires additional training (Ertem, 2012). "Child development is a dynamic process and there is no set time when interventions may be needed." The international Guide for Monitoring Child Development (GMCD) (Ertem et al., 2006, 2008, 2009, 2017), originally developed in Turkey through over 20 years of research, is a comprehensive package based on bioecological theory (Bronfenbrenner and Ceci, 1994) and family-centred care (Brewer et al., 1989). The GMCD embraces the idea that child development is a spectrum, ranging from optimal development to severe developmental difficulty. It seeks to avoid labelling children, instead acknowledging our current understanding of multiple strengths and vulnerabilities in the child, the caregiving environment and the community that contribute to child development. The GMCD recognises that the philosophy behind early intervention has shifted from dictating what caregivers should do, to learning about and reinforcing families’ own knowledge and expertise (Shonkoff and Meisels, 2000). 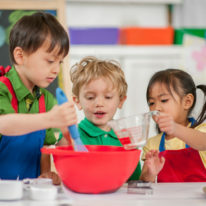 Developmental assessment philosophy has shifted from testing children and relying on scores, to obtaining a comprehensive understanding of children’s functioning and environment (Meisels and Fenichel, 1996). Rather than a service provider testing a child while the caregiver watches, the GMCD involves a service provider asking the caregiver open-ended questions about the child’s development. Open-ended questions are the gold-standard technique of history taking to build interpersonal rapport. Examples of such questions are: ‘How does she let you know when she wants something?’; ‘Tell me examples of what she can understand when you talk to her’ and ‘I’d like to learn about her play, can you give me examples of how she plays?’. From the caregiver’s spontaneous replies, the provider discerns which specific standardised, pre-coded milestones the child has attained. If the caregiver’s response is not sufficient to allow this to be deduced, additional probing questions are used. 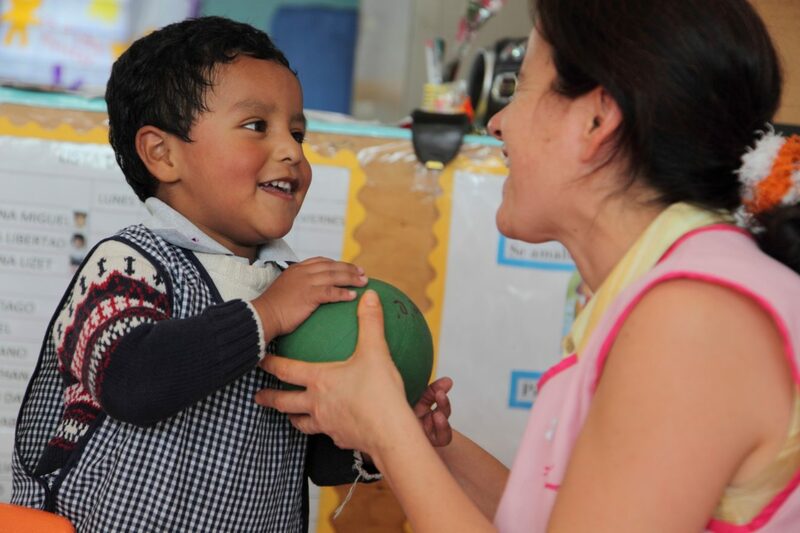 The GMCD is intended to monitor children from birth to 3.5 years of age, and assesses seven functional domains: expressive and receptive language, gross and fine motor skills, relating, play and self-help. The monitoring component is only the first part of the package – it flows seamlessly into the ‘support’ component, using information on where the child and family are and what should be supported. This individualises and expands generic interventions such as the WHO/UNICEF’s Care for Child Development (2012). 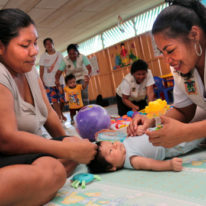 There is also an ‘early intervention’ component, which simplifies the WHO International Classification of Functioning, Disability and Health framework (2001) to apply family-centred, community-based early intervention for children with special needs. As both an assessment and an intervention, the GMCD incorporates strengths-based, family-centred approaches – comprehensive information about the child and the family is obtained, and interventions are specific to the child and family. A large-scale study funded by the National Institute of Health (NIH) standardised and validated the GMCD on approximately 12,000 children in four diverse countries – Argentina, India, South Africa and Turkey (Ertem et al., 2017). This study showed that healthy children attain GMCD milestones at similar ages. This means the GMCD should be equally applicable in these and other countries. Indeed, it is one of the few tools with adequate psychometric and feasibility criteria to be used low- and middle-income settings (Fischer et al., 2014). "The premise of monitoring is to keep track of and support children’s development above and beyond a predetermined goal to find an aberration." 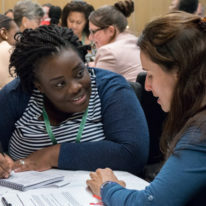 Community workers, nurses, family physicians, paediatricians, and early intervention providers in 25 countries have been trained in using the GMCD, and training of trainers has been completed in seven countries (Kraus de Camargo, 2016). The GMCD implementation differs across settings. 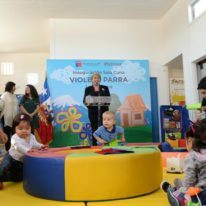 For example, in Azerbaijan and Turkmenistan – where services are centralised – it is being incorporated into the pre-service training of health providers and the national child health monitoring system. In India and Guatemala, not-for profit organisations are working to incorporate it into community home visiting programmes. Training lasts from one to three days depending on the background of the trainees and includes prevention, early identification, interpretation of findings with caregivers, and individualised intervention planning (Wertlieb and Krishnamurthy, 2015). The GMCD enables providers to monitor and support children’s development, support caregivers in providing nurturing, responsive stimulation, identify and address health and psychosocial risk factors, and apply community-based early interventions. Its brevity and user- and receiver-friendliness make the GMCD feasible in home visits, health clinics, crèches or other settings. Nonetheless, further research is still needed to examine the effectiveness of GMCD implementation in building capacity in LMICs to address early childhood development.